Successfully saved Best Chocolate Peanut Butter Cake to your Calendar. You can also save the ingredients to your Grocery List. 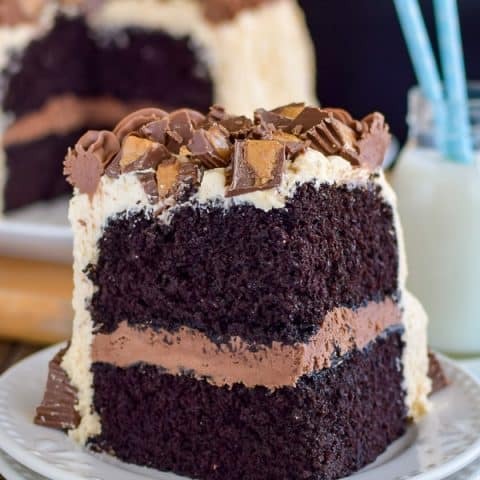 The Best Chocolate Peanut Butter Cake has layers of chocolate and peanut butter frosting and Reese's peanut butter cups. It's the perfect dessert for chocolate lover's.